I'm running IntelliJ 12.1.2 with Maven and am trying to use the Parameterized.class from Junit 4.11 to read in a .csv file containing 500 records and perform tests on each parameter (parameter is simply a relative url onto which I append a base url). I am getting a java.lang.OutOfMemoryError: Java heap space error. and also Maven runner to max sizes but still no joy. Can anyone post the recommended / optimal solution for IntelliJ 12? Please note I am a beginner, so I don't know if what I am trying is already going to ask too much of resources. First of all - you shouldn't modify Info.plist. 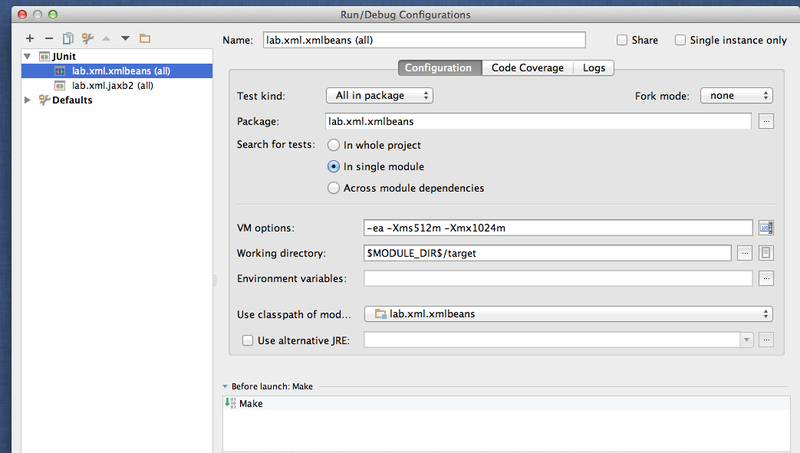 If you want to alter VM parameters for IDEA, there's a dedicated file for that: IntelliJ IDEA.app/bin/idea.vmoptions. Besides, those options don't work for Maven runner and Run/Debug configurations. Next thing - Maven runner and Run/Debug configurations don't share VM options.